Although they’re not the most likely of companion animals, chickens can help bring joy to humans in recovery. 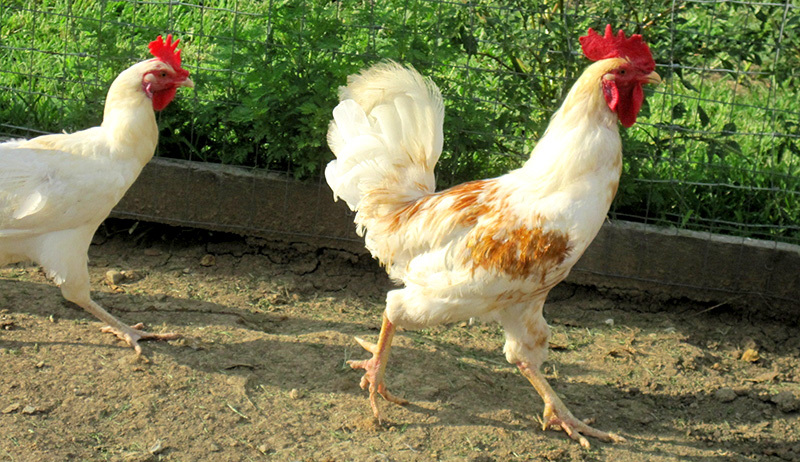 Chickens have lived among people for thousands of years, except for the second half of the 20th century. In the process of consigning chickens to farms and warehouses, we shelved their benefits as service animals, from their usefulness in yards and gardens to their certain intelligence and nature for emotional and social connection with humans. Today, we’re rediscovering the conventional chicken’s effect on the human condition and its intrinsic value beyond a good meal. Depression, anxiety, PTSD, autism, hypertension, dementia, end-of-life care, and even general stress can be eased by the presence of animals, including chickens. While Bailey prefers to work with Silkies, any chicken breed considered for therapy must meet proper socialization, training and temperament requirements. These are essential for the success in a therapy animal program. 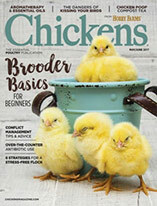 “I don’t think there’s one ideal chicken breed for work in human wellbeing programs, as each chicken really is a unique individual and comes with its own special talents and skills,” Bailey says. “The PACE model of animal-assisted interactions is a more accurate determinant of success,” a nuanced dynamic between practitioner, animal, client and environment. What Makes A Good Therapy Chicken? 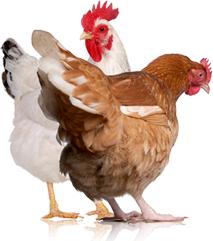 “All chickens working in programs involving humans should be screened for parasites and salmonella by a licensed veterinarian on a yearly basis,” Bailey advises. Additionally, a chicken must also pass appropriate evaluation and training through a national therapy animal organization, and the bird must be bathed before interacting with clients. “I would not suggest anyone with a compromised immune system work with chickens,” she adds. While therapy chickens must be sufficiently trained, family pets can have a therapeutic benefit without the formality—though, finding the right pet can take time. Silkies are small, fluffy chickens; they feel more familiar to people—more like fuzzy kittens than birds. While backyard and small-scale chicken farming has grown in popularity with people looking for more control and connection to their sources of food, people have also discovered how severed our relationships with animals has become. 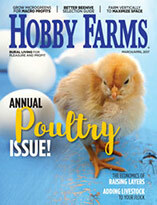 “The popularity of keeping backyard chickens may have helped more urban people become reacquainted with how human beings have been connected to and relied on animals for thousands of years,” Bailey says. The unsuspecting chicken is not only mending our relationships with the origins of our food, but it’s nurturing emotional connections with people in need, to the health benefit of everyone. Follow Tanya Bailey’s registered therapy chicken, Woodstock, on Twitter @therapychicken. Rachel Hurd Anger is an urban farming writer with particular interests in biodiversity and the elimination of food insecurity. She lives with her family, pets and small flock of hens in Louisville, Ky.